Fine lines and wrinkles? I knew they would come, I mean, someday. They’re a part of aging, after all. Adult acne? Yeah … didn’t think I’d still have it in my 40s, but OK, I have to deal with it. Sagging? Now, no one talked about sagging. None of the skin care ads I saw in my youth talked about sagging. Wrinkles they couldn’t stop talking about. But sagging skin? That’s a recent phenomenon. A phenomenon I’ve become all too — unfortunately — familiar with. I first noticed it in this photo — the overall droopy mien that just screamed “sagging” to me. It’s the sagging of the eyelids — my once small but discernible double eyelid has basically become a monolid. The sagging of the mouth and chin area, resulting in sad nasolabials that do more to age me than any wrinkle, however deep. As a result, I’ve added yet another skin care “concern” onto my long list of skin woes: Dry cheeks, oily T-zone, hyperpigmentation, fine lines, adult acne, enlarged pores, and now, sagging. It’s just a sad, depressing list. But I’m not taking it lying down. Nope! Like the good skin care junkie that I am, I’ve recruited a slew of skin care products in my war against gravity. They’re mostly serums, since that’s where the most potent actives are going to be, but I’ve got a couple masks in there, too, so I can tackle the problem from all sides. 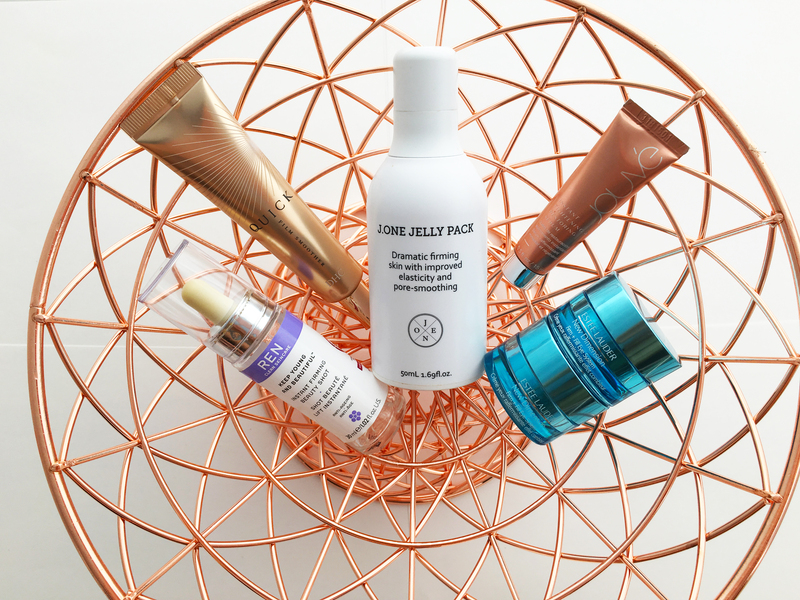 So herewith, my firming, tightening, smoothing skin care arsenal to tackle sagging skin. 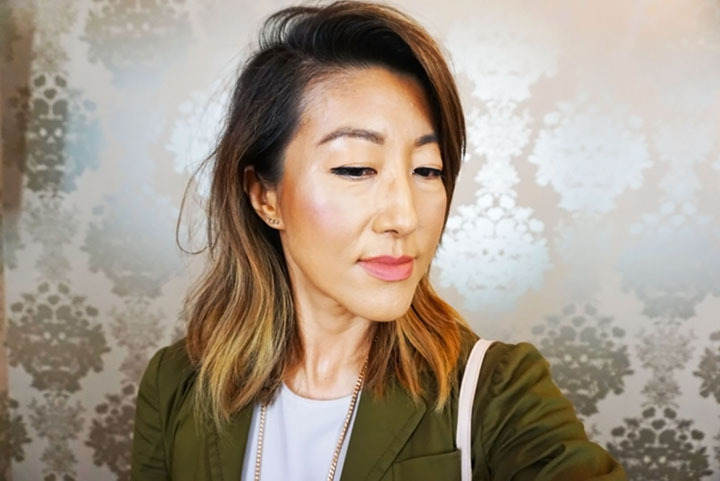 Jouvé Instant Tightening and Restoring Serum: A seriously crazy treatment — I’ve never seen anything like it. You dab it onto lines and under-eye bags and literally watch as the lines start smoothing out. Nasolabials? Gone. Frown lines? No longer. Its groundbreaking octapeptide, a combo of eight amino acids, naturally relaxes facial muscles. The effect, of course is temporary, but the more you use it, the better your skin gets. Other ingredients include radish root ferment filtrate (yup, the microorganisms from kimchi! ), aloe flower and turmeric. And I also love that Jouvé is committed to not using “baddie” ingredients like fragrance, PEGs, preservatives, silicones and petrolatum products. DHC Quick Film Smoother: Though this may not have the instant, dramatic gratification of the Jouvé, it does fill in and blur some of the harsher lines on my face, like the nasolabials and frown lines. (It’s also a lot more affordable, at $27.50 versus $85.54 for almost half as much.) You apply this as the last step in your skin care routine, and it does a decent job of plumping up my lines a bit and providing a smooth surface for my foundation. 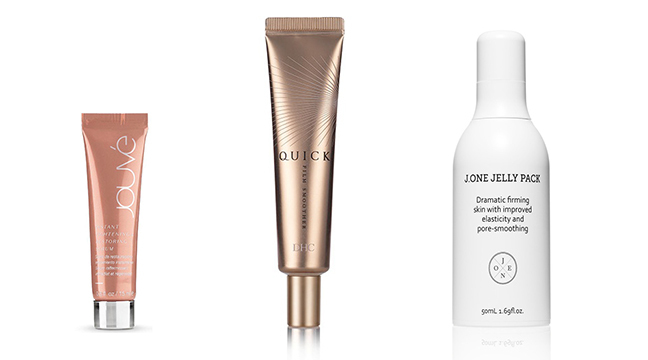 J.One Jelly Pack: I’ve raved about this morning mask-slash-primer a number of times, but let me do it again. When I need to look extra good, I use this Jelly Pack, which isn’t called the “corset mask” for nothing. When you first pump it out, it looks like a jelly, but it’s very stiff. Apply it at an upward angle, starting from the chin, going against gravity’s pull, moving up and out along the sides of your nose. As you swipe it on, it starts to liquefy a bit, but the whole point of this Jelly Pack is that it retains its firm texture so that it can tighten and lift the skin. My face feels instantly smoothed and firmed, the morning’s puffiness draining away. I like to think of it as Spanx for my face, really important when you find your skin giving in to gravity’s pull as you age. The Jelly Pack also acts as a primer — you can feel a bit of “catch” when you apply moisturizer after — and I rely on it to make my foundation not only go on incredibly smoothly but last all day. 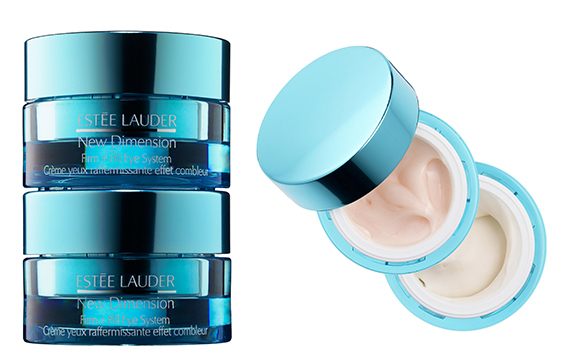 Estée Lauder New Dimension Firm + Fill Eye System: This new eye cream, a part of the brand’s New Dimension collection that addresses facial contours and volume, is my current favorite. It’s two tubs that’s essentially connected — the top tub has a great eye gel-cream with just enough grip as I pat it on to feel like it’s tightening and toning as it absorbs, sort of like a Spanx for my orbital bone area. Then the bottom tub has an even thicker filler-type cream that you tap onto crow’s feet and the under-eye area to fill in and blur lines. I even tap some on my nasolabials and frown lines — why not? A little goes a long way with these two creams, so I imagine I’ll be using them for a long time. And thank goodness, because I love how they leave my eye area feeling nice and tight and lifted. Tomorrow, part 2 of my go-to anti-sag beauty products.